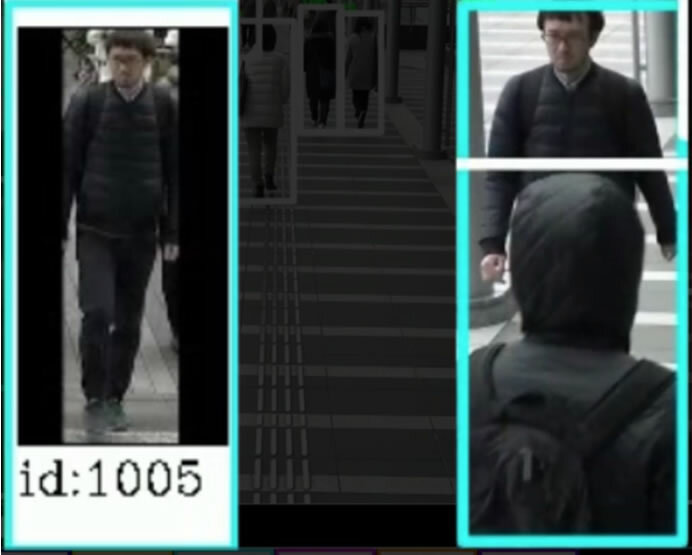 Person Re-identification Technology developed by NEC, is capable of matching images of people whose figures are partially hidden from cameras, even if the image is taken from behind or from the side. 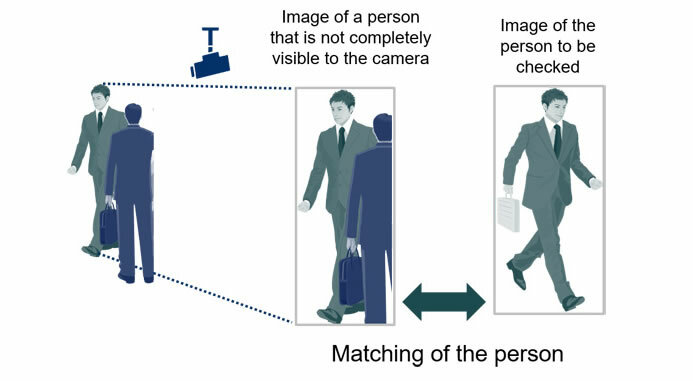 Person Re-identification Technology analyzes the entire appearance of a person’s photo image, such as their clothes and body shape, to determine whether they match with other images of people. NEC’s unique ingenuity in deep learning technology is used to match a person’s image by automatically selecting other parts of their image when there is overlap between multiple people, such as in crowded or shaded environments where a person’s full image cannot be viewed. The matching rate for a person is as high as 90%. Effective use of deep learning techniques can match people from numerous angles, such as from behind or from the side, and shot with multiple cameras. As a result, this technology can effectively match people using camera images where the face is not visible. Person Re-identification Technology from NEC enables a wide range of people to be recognized, even in places where there are many people or visual obstructions that prevent a person’s face or body from being fully seen. Potential applications for this technology include security support in large-scale facilities with many people or visually blocked areas, as well as assistance in the search for lost children.